Huge fan of aquatic adventures? Seeking a thrill? In desperate need of a relaxing holiday by the sea? We think Adventure Bay Charters might just have the tour for you. 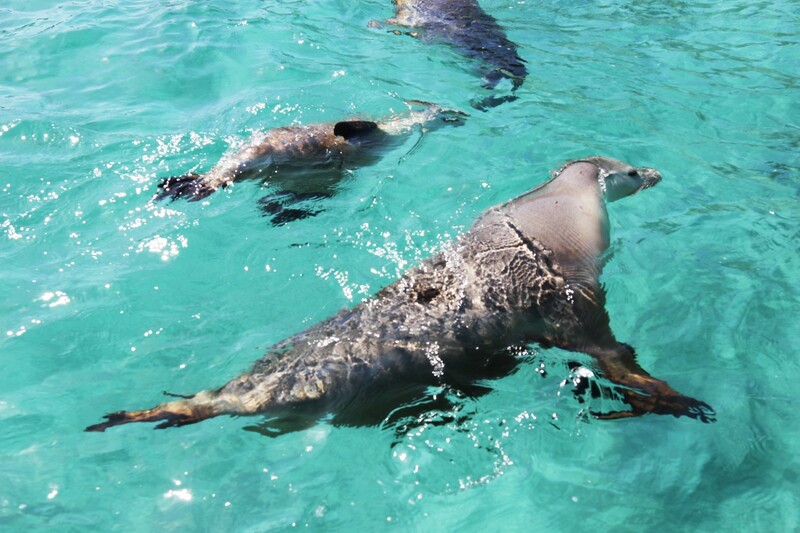 Operating just out of Port Lincoln along the breathtaking Eyre Peninsula, Adventure Bay Charters – or sometimes shortened to ABC – offers some of the most incredible marine activities in the state. We recently embarked on a weekend away with the ABC team thanks to Frances Smith of Las Comms who organised a fun-filled #InstaMeet with numerous other social media names from South Australia and abroad. After road-tripping 7 hours to get from Adelaide to Port Lincoln, we settled into the quaint country town instantly with a group dinner at The Lincoln Hotel. There, we met with our fellow bloggers, photographers and thrill-seeking personnel who all came camera-ready and charging for the adventure of a lifetime. Our ABC adventure began with their awarded Shark Cage Diving Tour; it is actually the most awarded of its kind in Australia! An unforgiving 6am start had us boarding the boat in no time as we sailed the seas over to a hub for the Great White Sharks: Neptune Island. Wet-suited up and ready, we started diving early (despite a pretty rough boat ride and choppy winds!). Divers had one of two options: taking on the larger cage which was attached to the back of the boat and could fit six people in at a time, or braving the individual cage which remained isolated in the middle of the ocean and could only hold one lonesome diver! I mean, we’re adventurous, but not that adventurous… we opted for option one. Sometimes divers can be out all day at sea and not sight a single shark, however our group was super lucky. In fact, the moment we jumped into the water, we came face-to-face with one of the gentle giants, idly minding his business as he glided past the cage. One prominent thing that makes ABC stand out is their ethical means of shark diving. Other companies unethically bait sharks with slabs of meat, which can often turn the sharks pretty ravenous and aggressive, almost putting on ‘a show’ for divers. ABC, however, prefer to sight sharks in their natural state, baiting them by no other means than playing music. Turns out, sharks love a bit of Metallica… And maybe a bit of Darude Sandstorm, too. Our second day at sea with ABC consisted of swimming with sea lions, which was perhaps the highlight of our adventure. After literally getting face-to-face and within touching distance of these frivolous creatures, we understood why people referred to them as puppies of the sea! We were swarmed with around twenty or so of Hopkin’s Island’s mischievous sea lions, which were all extremely playful, curious and daring enough to swim right up to our faces. The second day was slightly warmer than the first, and the clear skies made for crystal clear blue waters, making it easy for us to spot the sea lions. We finished an hour of snorkelling with the sea pups and made our way back to the boat for food, beers and a mini boat party before reluctantly heading back to the shores. We just spent an incredible morning swimming with sea lions with @adventurebaycharters ❤️❤️ THEY’RE SO CUTE! Stay tuned for millions of photos and an article soon! Sea lions up close and personal! 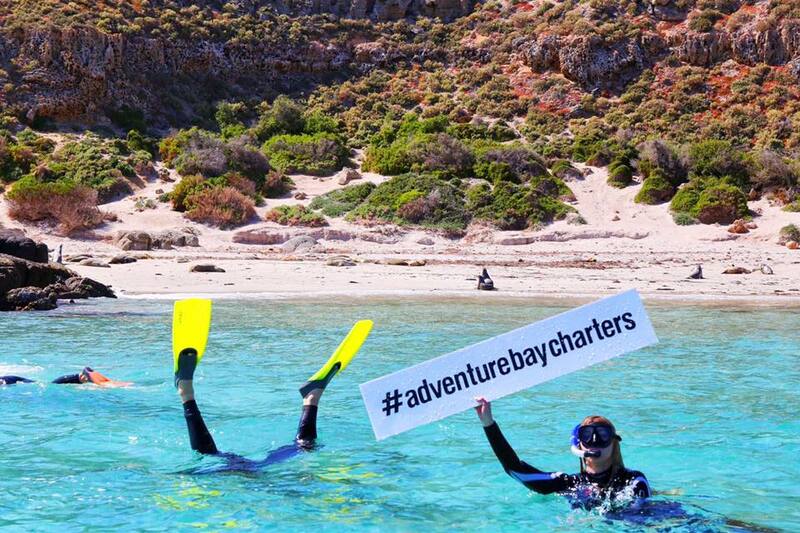 Thanks to Adventure Bay Charters, we’ve managed to tick some pretty rad activities off of the bucket list; we couldn’t recommend the tours enough. To find out more about the company, be sure to visit their website here.